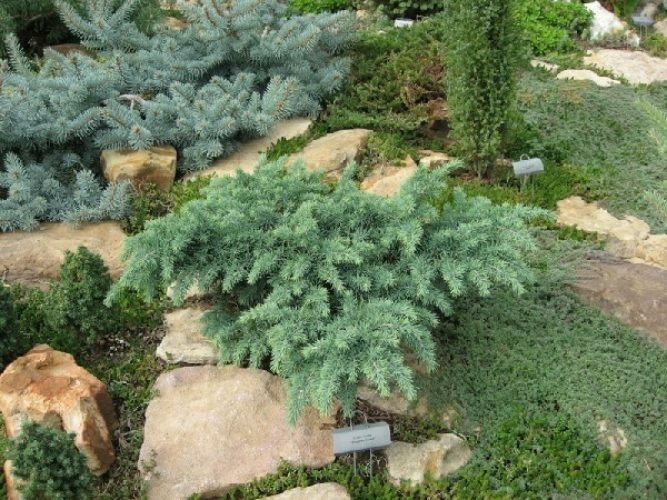 Cedrus deodara 'Prostrate Beauty' is a flat, spreading selection of Himalayan cedar — unique beauty and a real eye catcher. A true Blue in color, this spreading slow grower is nearly flat when young, developing a leader with age, if not pruned. New growth is light green-Blue. 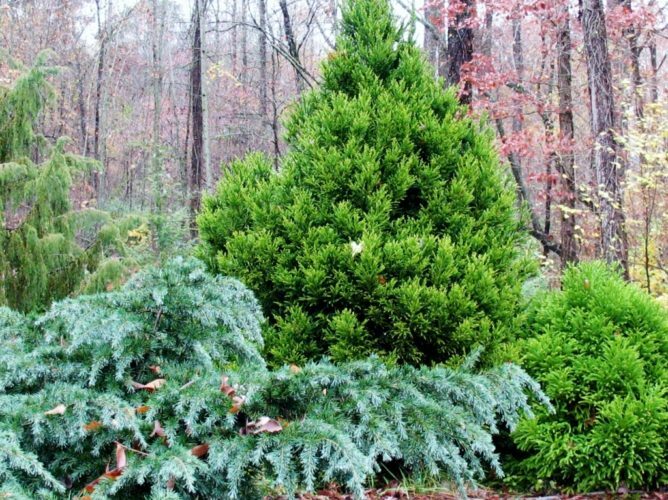 Its soft feathery look and distinctive color and shape make it destined to become a classic among cedars. Typical rate of growth in most areas is 6 to 8 inches (15 - 20 cm) per year, resulting is a flattened, layered shrub 5 to 6 feet (1.5 - 2 m) wide and somewhat shorter after 10 years in the landscape. This cultivar originated as a seedling selected in 1979 by Iseli Nursery of Boring, Oregon who was also responsible for its introduction to the nursery trade. Cedrus deodara 'Prostrate Beauty' (foreground) at Cox Arboretem, Canton, Georgia. 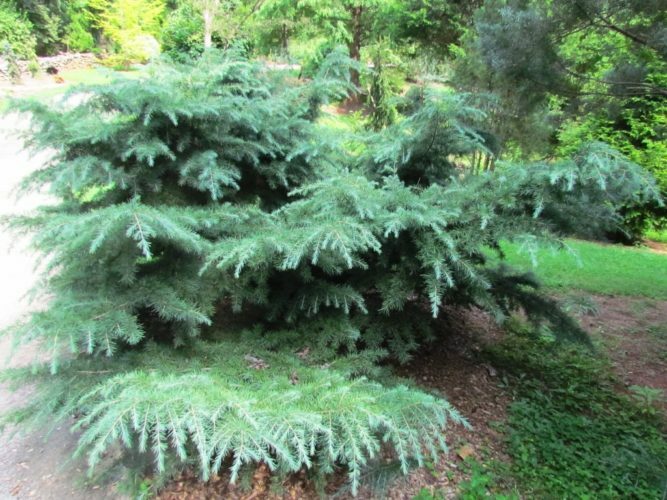 Cedrus deodara 'Prostrate Beauty' at Cox Arboretem, Canton, Georgia.